Hello! 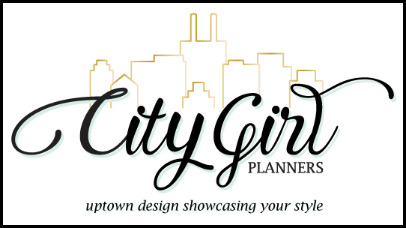 I am Amanda from She's Eclectic and I am the resident planner girl here on the Trendy Twine blog. I love to use my APB stamps to help me stay organised and to add a bit of fun to my planner pages too. As next week is Valentine's day I have gone all out with a "romantic" theme full of hearts and things that go together perfectly so let me show you how I did it! The first thing I always do is to add washi tape wherever I can fit it in on my spread, usually along to top and bottom of the pages. Then I pair that with a set of trendy page dots which reinforce the holes and protect my pages from tearing as well as adding a lovely splash of colour! I do this before I write or stamp anything so I know exactly how much space I have to work with. Next it is time to get practical with the Check it off, At home, More at home, and School days stamp sets! I use the Check it off stamps to create my to do lists and then I use the other sets to add my reminders and things I need to complete like doing the recycling, paying bills and running errands. They also cover things like events, appointments, assemblies and after school clubs. If you want to just get organised you can stop here, you have made your plans and now you just need to work on finishing them but if you want your planner pages to look really pretty as well as being practical then there is one more stage left to do, decorate them! I use my APB image stamps to create my designs and a few stickers here and there. For this week I used the You & me, Perfect pairs and We go together stamp sets to add sweet little couples that compliment each other like coffee and doughnuts and eggs and bacon. Then I coloured them in to match my Valentine's Day theme using lots of pink! So this is how my week looks! Do you like to decorate your planner, I'd love to know! 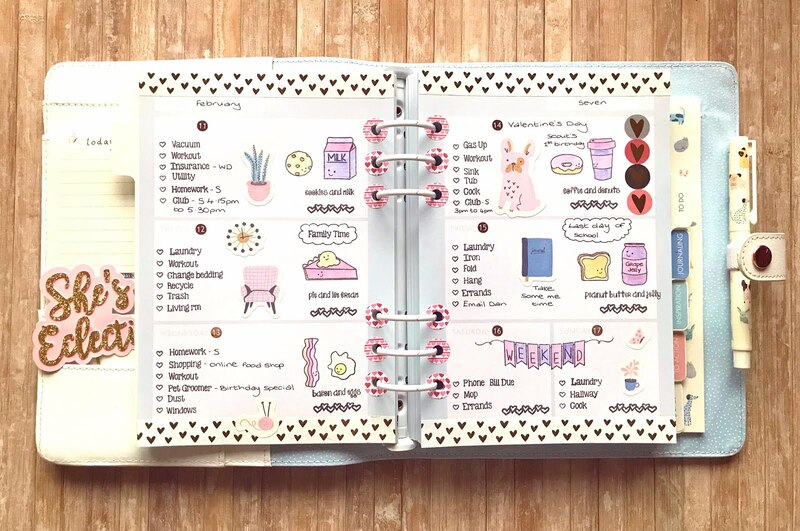 I love how organized your planner always is! Mine will probably never be as such lol! Thanks for always inspiring us! Oh how awesome!! I just love how you decorate and plan! Your planner is adorable!! I need to get back into decorating mine!! So, so fun! My planner is so boring if I even use it LOL!